Wild West Pinball by OOO Gameprom is a really sweet way to take a pinball machine with you everywhere. This game has extremely easy controls. 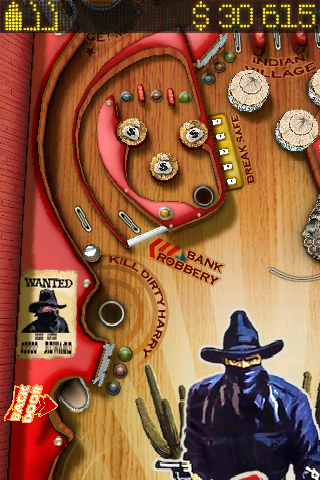 All you have to do is tap on the right of the screen for the right flipper and the left for the left flipper. If you want to bump the table, all you need to do is shake your iPod/iPhone. There are several things that are unique to this table. One of these things is that it is all laid out in a wild western setting. You can shoot the ball onto the train tracks, through Indian territory, and even through the town bank. You can view the top scores by swiping your finger to the right when you are not playing canadianviagras.com. The high scores will show the top 15 scores of all time. After you complete a game, you can upload your high score to this score board. 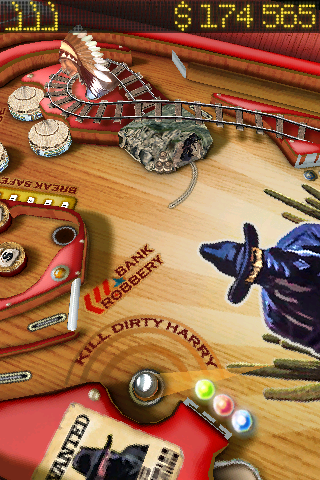 This game really is great for all pinball fans. However, it can get a little boring over time because there is only one table. Aside from that, this game is awesome. It has very good graphics, physics, and is really cool camera effects. 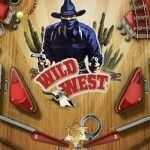 Wild West Pinball is available in the iTunes App Store for $0.99. The game was .99 when it was reviewed.